Serving their community with high quality, farm fresh products that will enhance your table and enable you to directly support agriculture in Lebanon County. Products sold in the Creamery are all made on the farm onsite. The Milk is from the dairy cows on the farm that is then pumped underground to a processing plant where it is pasteurized and homogenized & put into jugs for purchase. They offer: Whole Milk, Reduced Fat Milk, Skim Milk, & Chocolate Milk. Eggnog is offered seasonally. The Ice Cream is also made from scratch in the processing plant with fresh milk and fresh cream from our dairy cows. The Butter is made with cream from the onsite dairy cows. 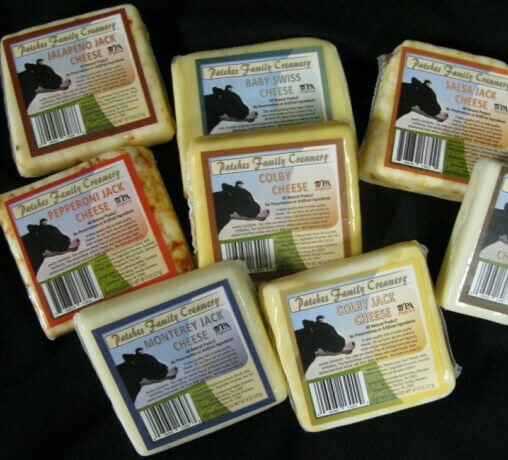 The Cheese is made with the farm’s milk at a local artisan creamery. Also offering brown eggs from free-range chickens.